Betting often have their own language. If you will read reports or articles about the Internet, it is important what is meant. Who is not to understand single words ie in a position that will not understand the strategy articles and other things. This brief summary is to you a short and quick overview to give something that means. The bankroll is the money that a player is available to place their bets to make with it. In other words, it is the game of capital. The higher the bankroll is the lower the probability that a player loses all his money when he times has a downswing. Especially in online sports betting, there are now more than enough providers. These try to lure to play on their platform with various bonuses to players. This they do then with various bonuses. This can be up bonuses to other bonus promotions. Especially for beginners play bonuses a special role to help them but quickly build and expand your bankroll. The bookmaker is the supplier of sports betting online or stationary. He created and calculated the odds and then offers you to them. You can at him complete sports betting and get accordingly by him your income and pay him your loss. Online sports betting provider or general sports betting providers are now corporations, not individual bookmakers more. 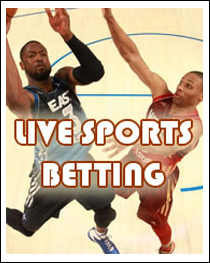 Therefore, the sports betting group has taken on the role of the bookmaker. Minimum deposit online sports betting and providers now dominate the market. To be able to play then there you have to deposit a certain sum to your online account. In order to get a bonus or often at all just to be able to deposit money, you need to transfer a certain sum. This is the minimum deposit. Odds ratios are the ratio of your bet for future potential profit. A ratio of 2.0 means that you win your bet x2. In the U.S. sports betting are displayed rates as the ratio of use or profit to $ 100.